Mount Penanjakan view point 1 is one of the best places to see the morning beauty of nature. There are good tour places in Indonesia where we can see the beautiful sunrise. You might not have visited Mount Bromo but plan to go there the next holiday. You might also have heard about Penanjakan view point 1 and 2. There are differences between Penanjakan view point 1 and to or between what is commonly called Penanjakan 1 Bromo and Penanjakan 2 Bromo. You need to be prepared for the journey. Although it might not as tough as you think, but there are still things to prepare. Be sure you bring jackets, sweaters and long sleeves shirt or t-shirt as well as scarves. If you usually live in normal temperature, you might experience temperature shock. But that is always can be handled by warming clothes and other stuff like gloves and hat. So here are the differences between Penanjakan view point 1 and 2. You may choose to try those both place to decide which one is better. 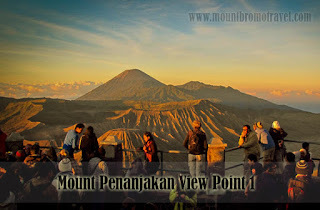 The Penanjakan view point 1 is one of the places to see Bromo sunrise. The Mount Bromo itself is located in the 2770 meter above the sea surface. While the Penanjakan view point 1 is located right in the west side. It is still included in TN BTS or Taman Nasional Bromo Tengger Semeru, East Java. This is one of a must visit places when you arrived in Bromo. The area is pretty tough. You need to rent a jeep or hardtop to get there. Usually, tourists can rent the car along with the Bromo tour package. Common cars or vehicles cannot be used, considering the rough and tough area. Most tourists might miss this Penanjakan Bromo 2 because they have already satisfied seeing the sunrise in the Mount Penanjakan view point 1. Well, this place is actually can be the best alternative when the other places to see sunrise in Bromo is not available for certain reasons. There might be certain ceremonial or governmental visit. This Penanjakan Mount Bromo Sunrise 2 is located in Seruni Village, Sukapura. This place was temporarily closed because of landslide. However after some time, when the road had been restored, Penanjakan 2 Bromo is reopened for public. 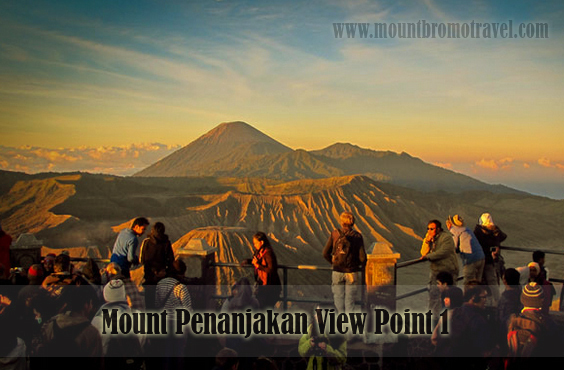 Be sure you bring with you all you need before visiting this place and Mount Penanjakan view point 1.